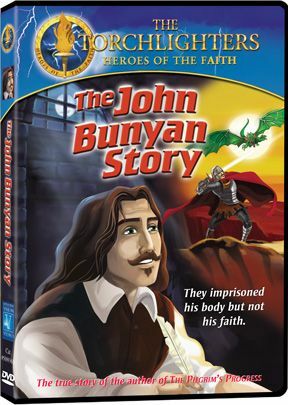 John Bunyan spends his days in prison, separated from his wife and children. Living in the cold, stone cell is the price he pays for going against the established state religion. If only he would agree to stop preaching, John could walk out a free man! Why does he choose to stay in jail, and how will he serve his Lord in this wretched place? Find out in The John Bunyan Story episode of The Torchlighters. Sir Thomas More and Daughter, by Yeames [Public domain]. Sir Thomas More coined the term “Utopia,” the title of a book he wrote about an imaginary island nation governed by reason. Thomas More’s homeland was not so ideal. He was an Englishman, a Roman Catholic humanist and statesman during the reign of tyrannical Henry VIII, who went to prison and lost his life when he balked Henry. A Man for All Seasons. King Henry VIII who wants to divorce his wife in order to marry Anne Boleyn. 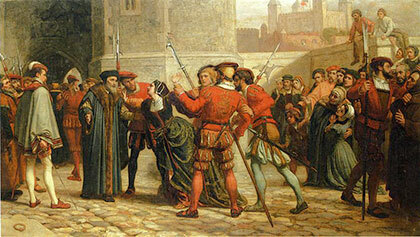 Only Sir Thomas More has the courage and conviction to oppose the King’s will, but his valiant refusal to abandon his principles leads to his imprisonment and death. Thomas More is sympathetically portrayal in the drama A Man for All Seasons, but as Lord Chancellor for Henry VIII his actions were far from ideal. He persecuted Protestants viciously and his secret agents hounded Bible translator William Tyndale across Europe. More himself lobbed polemics at the exiled priest, whose crime was a desire to get God’s word to Englishmen in a form they could understand and afford. When the king placed the Church of England under his own headship, rather than that of the pope, More became involved in serious difficulties, for his conscience would not allow him to sign the Act of Succession, whose preface asserted Parliament’s authority to legislate in matters of religion and denied the authority of the Pope. Consequently Henry imprisoned him as a traitor. 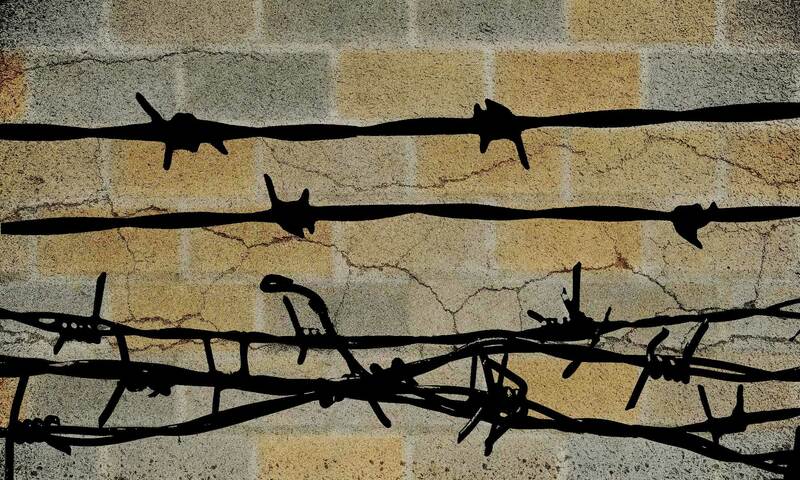 While in prison, More wrote Dialogue of Comfort Against Tribulation. Although it lacks the power of Boethius’ Consolation of Philosophy, which was penned in similar circumstances, chapter XIX is of interest because it considers the subject of imprisonment at length. The interested reader may wish to look at it; here we offer a short excerpt from chapter VI, spoken by the wise Uncle Anthony (More’s alter ego) as a sufficient introduction to More’s philosophic attitude toward imprisonment and the other ups and downs of life. For the salvation of our soul may we boldly pray. For grace may we boldly pray, for faith, for hope, and for charity, and for every such virtue as shall serve us toward heaven. But as for all the other things…we may never well make prayers so precisely but that we must express or imply a condition therein—that is, that if God see the contrary better for us, we refer it wholly to his will. And if that be so, we pray that God, instead of taking away our grief, may send us of his goodness either spiritual comfort to take it gladly or at least strength to bear it patiently. For if we determine with ourselves that we will take no comfort in anything but [God’s] taking of our tribulation from us, then either we prescribe to God that he shall do us no better turn, even though he would, than we will ourselves appoint him; or else we declare that we ourselves can tell better than he what is better for us. And therefore, I say, let us in tribulation desire his help and comfort, and let us remit the manner of that comfort unto his own high pleasure. When we do this, let us nothing doubt but that, as his high wisdom better seeth what is best for us than we can see it ourselves, so shall his sovereign high goodness give us that thing that shall indeed be best. For otherwise, if we presume to stand to our own choice—unless God offer us the choice himself, as he did to David in the choice of his own punishment, after his high pride conceived in the numbering of the people—we may foolishly choose the worst. And by prescribing unto God ourselves so precisely what we will that he shall do for us, unless of his gracious favor he reject our folly, he shall for indignation grant us our own request, and afterward shall we well find that it shall turn us to harm. How many men attain health of body for whom it would be better, for their soul’s health, that their bodies were sick still? How many get out of prison who happen outside on such harm as the prison would have kept them from? How many who have been loth [reluctant] to lose their worldly goods have, in keeping of their goods, soon afterward lost their life? So blind is our mortality and so unaware what will befall—so unsure also what manner of mind we ourselves will have tomorrow—that God could not lightly do a man more vengeance than to grant him in this world his own foolish wishes.